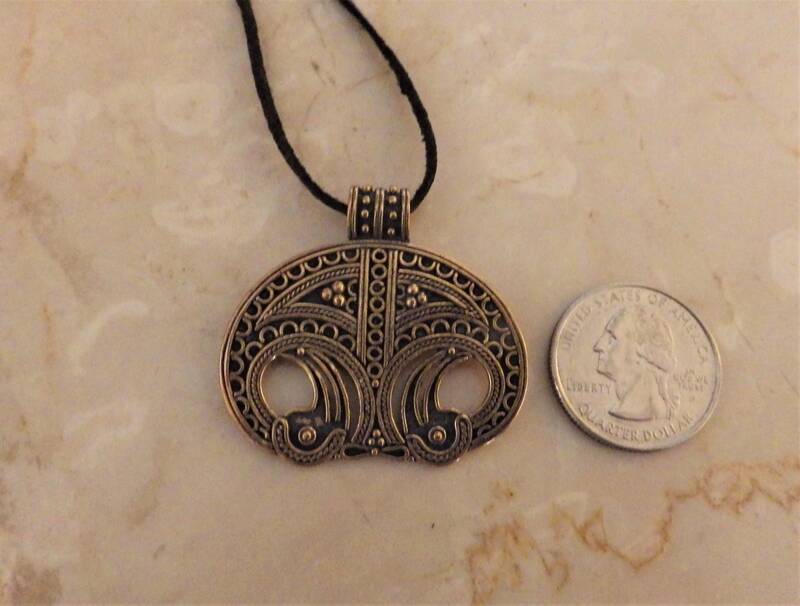 Viking PENDANT Replica from the locality of Moesgard, present-day Denmark. The Slavic peoples considered the Moon as a defender of the planet Earth and individually each person. 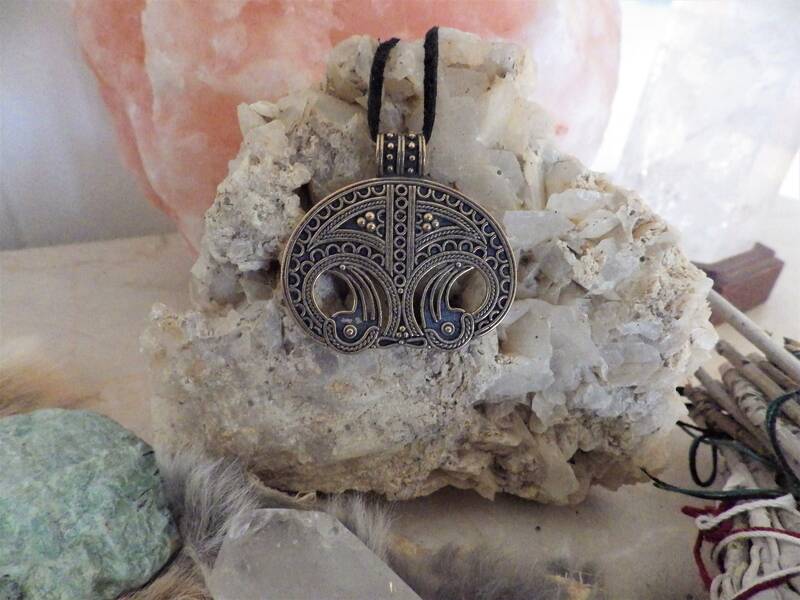 Lunula pendant – a lunula symbol of 8 moons could protect from danger, disasters, evil jinx, otherworldly evil forces, help to get rid of illnesses. 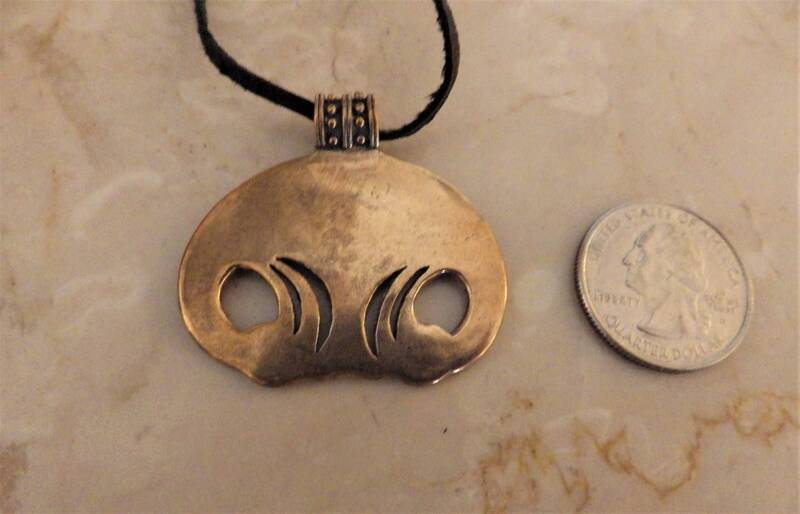 This traditional female talisman also gave happiness in love and was the patron of all enamored people. 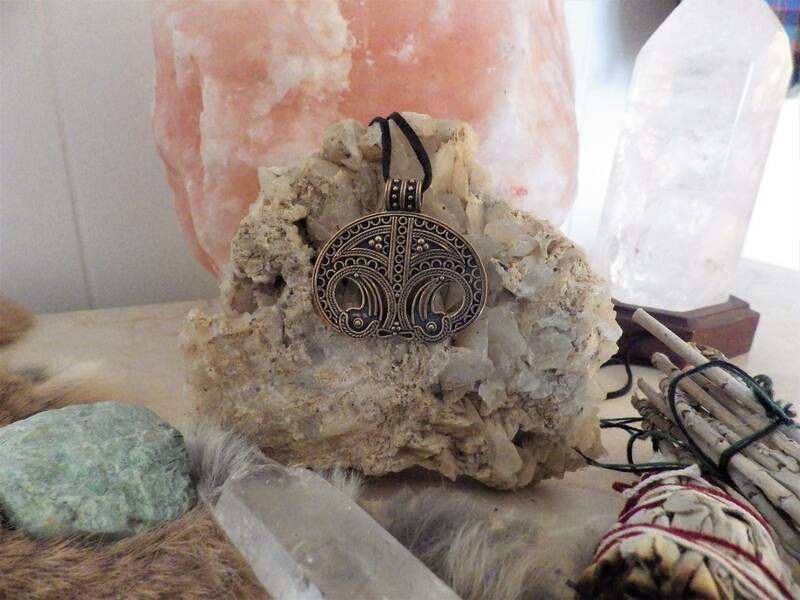 It is believed that the Slavic necklace with the sign of Moon was worn by every single Slav lady, because in those days, besides beauty, the decoration contained the deepest sacred significance. 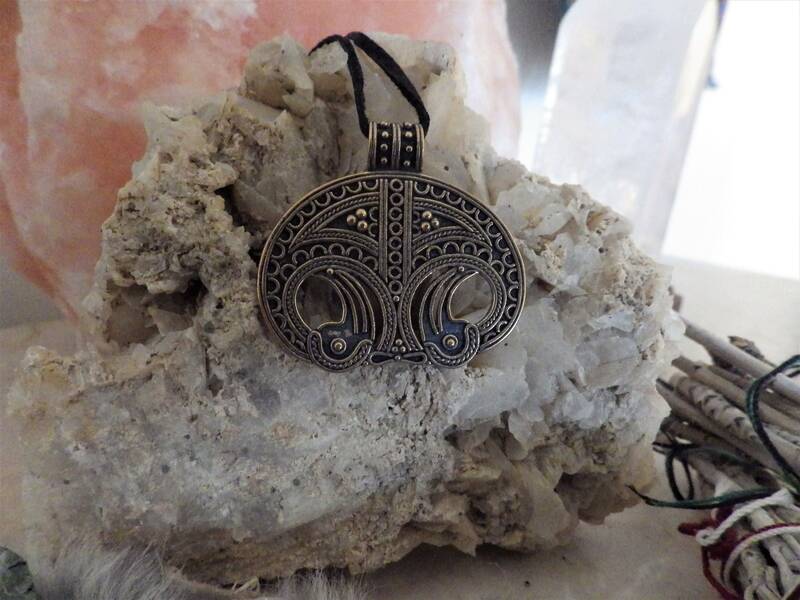 Slavic pagan jewelry in the form of moon invoked the power of the night luminary, healed from infertility, favored conception, during bearing the child and gave a relief of birth pains. In addition these types of adornments subtly emphasized the zest and elegance of women.